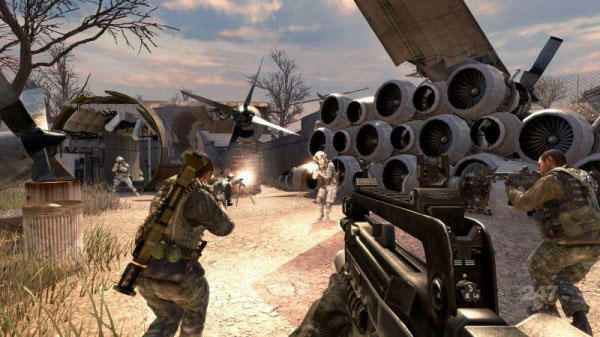 The Modern Warfare 2 Stimulus Package, which added five maps to the game, came out on March 30th, and just slightly over two months later a second set of five maps is coming out. Releasing on June 3rd, the Resurgence Pack will sell for 1200 Microsoft Points ($15 in real money) just like the Stimulus Package did. 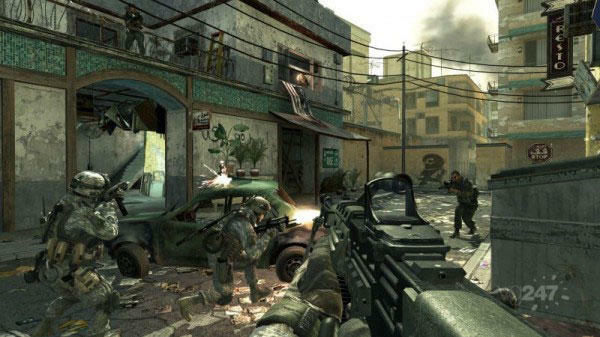 The new pack will mix two maps from Modern Warfare in with three all-new maps. Robert Bowling of Infinity Ward was interviewed by Major Nelson and he gave a brief description of each. 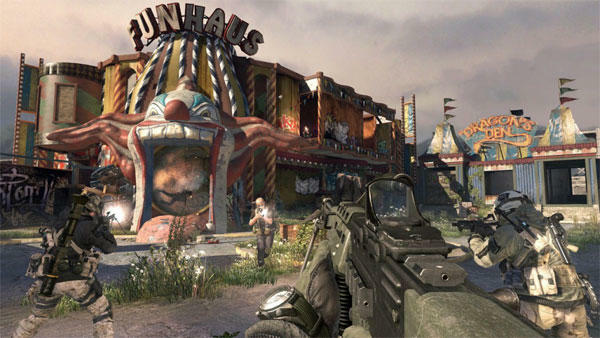 Carnival is an al new map set in … well … an abandoned carnival. We’ll see all sorts of things you expect to see in such a setting and is being touted as the most unique map ever for the franchise. 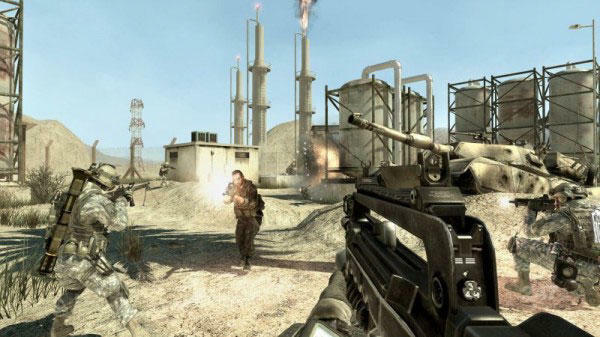 Fuel is going to be a sniper haven set in an oil refinery. Lots of wide open spaces with numerous high vantage points. Strike is fan favorite map returning from the first game in the series. 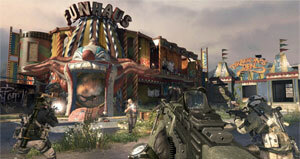 Trailer Park is a map optimized for the “run-and-gun” style player with numerous tight corners and hallways. Expect shotguns to be a favorite on this map. 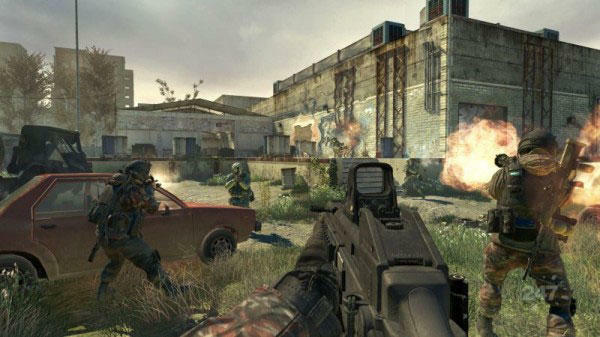 Vacant is the second map returning from the first game, it’s the abandoned Russian office complex. Overall it sounds like a good mix of maps and styles, but hitting players up for another $15 so soon after the first map pack does feel a bit excessive. Also, this game isn’t even a year old yet, so you can almost bet this isn’t the end of map packs coming out for it. Just how much are we all going to end up investing in this game? Also, once again, Xbox 360 owners will get the maps first, followed by PC and PS3 owners at a later date that has yet to be announced.